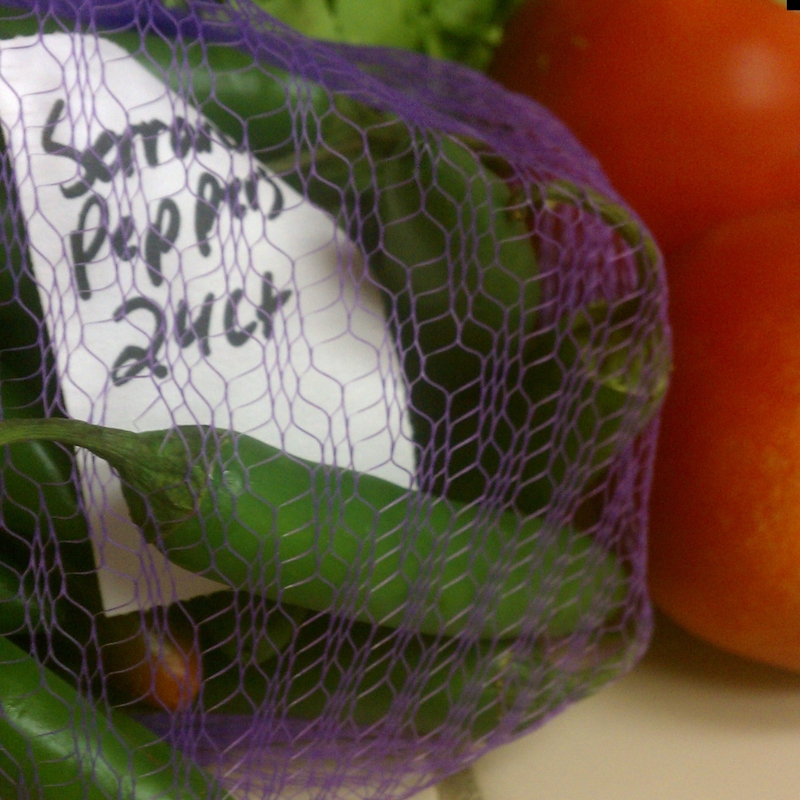 Want to make the easiest meal ever out of the abundant peppers, onions, tomatoes and lettuce this time of year? How much do I love the hand-written tag btw? Toss in 1/2 of one minced onion. I like white or yellow. Throw in a handful of cilantro, chopped. Squeeze 1/2 of a lemon over the top. Drizzle with olive oil, about 2 tbsp. Sprinkle with a good quality sea salt. Other serving ideas: Serve warm, as taco filling. Serve cold or warm as a salad topping. Mix with avocado and eat it with a fork. My personal fave? Serve it with margaritas. Yep.